Why did the chicken cross the road? To follow you home! Learn all about a not-so-basic bird in this delightful nonfiction picture book. What’s that? A chicken followed you home? Now what do you do? Celebrated author-illustrator Robin Page leads a step-by-step, question-and-answer-style journey through the world of chickens. Along the way you’ll explore different breeds, discover different types of coops, and learn everything there is to know about chicken reproduction and hatching. Gorgeous, playful, and filled with facts, this engaging nonfiction picture book shines new light on a very familiar fowl! This straightforward introduction to chickens is a lesson in book design of young informational books. Lots of white space allows the exemplar chicken, a Rhode Island Red, plenty of room; she (and the book clearly explains how to tell the males from the females) is generally pictured at about half life-sized. Each page or spread asks (“How long does it take an egg to become a chick?”) and answers (“If a fertilized egg is kept warm and turned regularly, a chick will hatch in about 21 days”) just one question about chickens and their care, and the sequence of questions is logical, with each answer building on what’s come before. The Photoshop illustrations are warm and unclinical but spare and always attentive to the particular topic under review. A closing spread offers a slightly more advanced set of chicken questions (“Why do chickens have combs?”) and a neat, brief directory of other sources for information. Sophie in Unusual Chickens for the Exceptional Poultry Farmer, reviewed on page 111, would’ve found the practical information here extremely useful. In her first foray as solo writer and illustrator, Page, Steve Jenkins' frequent collaborator (and spouse), presents a child-friendly Q-and-A to prepare children for the titular eventuality. Starting with the all-important "What will my chicken eat?" the book goes on to answer more questions, such as "Will my chicken lay eggs?" and "What if I want baby chickens?" Readers will learn to tell the difference between a hen and a rooster and how to identify chicken breeds, as well as how to keep predators at bay. The answers given are concise....Done in a collage style similar to Jenkins', Page's illustrations are no less artful. Often spreading across double-page spreads, cut- and torn-paper images jump out in bold colors and patterns, occasionally complemented by monotone engravings for interest and contrast. Younger readers will be drawn to the bright, bold images, and older readers will enjoy the chicken facts. Two further pages of facts at the book's end satisfy those who might be curious about how fast a chicken can run or who might enjoy a step-by-step visualization of a fertilized egg's life cycle. Plus, a short bibliography allows readers to seek more information. A delightful and informative book for families wanting to raise chickens or learn where eggs come from. “A chicken followed me home! What do I do now?” Ever had that desperate feeling? 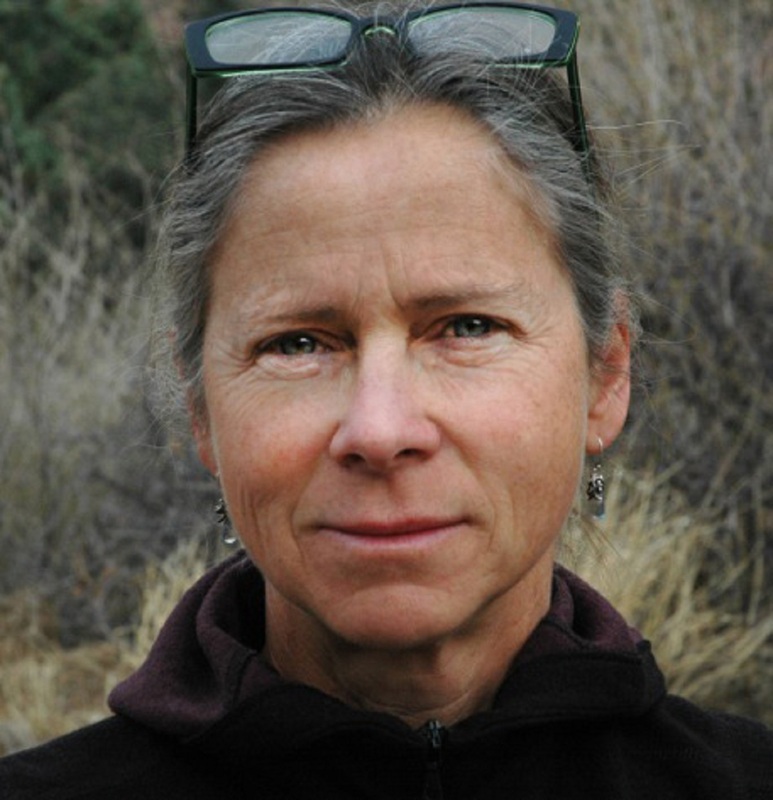 Here Page takes readers’ questions about the bird and gives simple answers to each question. The questions she poses (from the viewpoint of a child) include the essential question of what a chicken eats to general curiosity questions, such as how to distinguish between a hen and a rooster, how to determine its breed, how to keep the animals safe, will it lay eggs (and, if so, how many), and what if I want baby chicks? The answers are given in a straightforward manner using vocabulary a child understands. The book’s bright, bold, colorful illustrations often cover a two-page spread and will draw in younger audiences, while older children will like the illustrations and be intrigued by the facts. Back matter includes more questions and answers about chickens and a short bibliography. A great book for families with backyard chickens. “A chicken followed me home... What do I do now?” begins this subtly funny guide to caring for chickens. The bird in question, a Rhode Island Red whose marbled swirls of red and black give the suggestion of feathers, makes for a handsome model as Page answers chicken-related questions. When asked, “Will my chicken fly away?” Page assures readers that “if you feed your chicken and give her a safe place to sleep, she probably won’t fly away.” Lightly irreverent in tone and design (dictionary-style inset images highlight various chicken food sources, predators, and coops), yet packed with information for urban and rural homesteaders alike, the book only leaves one question unanswered: Why did this chicken follow me home in the first place? For youngest science lovers, Robin Page's (My First Day) enticing introduction to chickens explains their habitat, anatomy, diet and predators. Each double-page spread features a question in large bold type at the top, a large image of a chicken at rest, in flight or running from predators, and a clear, concise response to the question. For "How do I keep my chicken safe?" a brown chicken with marbled wings flees a hawk, also rendered in full color. Three inset monochromatic images depict other predators, alongside the answer ("For a chicken, danger can come from any direction...") and explains why a chicken coop is important. A turn of the page features the question, "What does a chicken coop look like?" then details the basics of a coop. One of the funniest exchanges asks, "What if I want baby chickens?" and answers, "Then you'll need to get a rooster!" (A clearly labeled image of both a hen and a rooster on an earlier spread shows their differences and shared characteristics.) Page gives youngsters juicy vocabulary, explaining that 8-12 eggs are a "clutch," and a female chick is called a "pullet" and a male a "cockerel." She creates an eye-grabbing graphic of 260 eggs (the average number of eggs laid annually by one hen). Her digitally rendered images look more like collage, with textured feathers on the adult birds, and a fuzzy sheen on the chicks. Discover: An enticing first science book with fun facts about chickens. What would you do if a chicken followed you home? How would you know what kind of chicken you have? How would you feed it? These are just some of the questions posed by the unnamed narrator in this nonfiction picture book for young readers. Using a question-and-answer format, this selection offers concise facts about what chickens eat, their life cycle, and other interesting information. Each page offers visually attractive illustrations, boldfaced questions, and boldfaced key words (e.g., chick, egg). The back matter includes additional questions about chickens. Sure,kids may know what to do with a stray puppy or kitten, but what if a chickenfollows them home? Page treats this appealing fictional problem, helpfullygiving audiences answers to some basic questions (“What kind of chicken isit?”), providing information on chickens and their care, highlighting a few ofthe many breeds, and very briefly covering such topics as food, safety andshelter, gender identification, egg laying, and chick raising. Furtherinformation on chicken history, physical traits, and a chick’s developmentinside the egg, as well as a short list of resources and websites, areappended. The information given here isn’t detailed enough to set a kid up as achicken farmer, but it’s a concise and inviting introduction to chickens, andthe “chicken followed me home” premise is an amusing angle. The layout anddigital illustrations (rendered in Photoshop) are simple, with rich,marbleized-looking reds and blacks stunningly creating the plumage of thetagalong chicken (a Rhode Island Red hen). Large figures and clean compositionswith plenty of white space make this great for group sharing, while the brieftext, clear fonts, and simple vocabulary will put this within readalone rangefor older primary-graders as well. Families considering embarking on thebackyard poultry movement or classrooms raising chicks would want to supplementthis with more detailed resources, but as a very first introduction to chickensand their care it would be hard to beat this. In addition, its brevity,striking artwork, and question/answer format will make it a winner with thestorytime crowd. 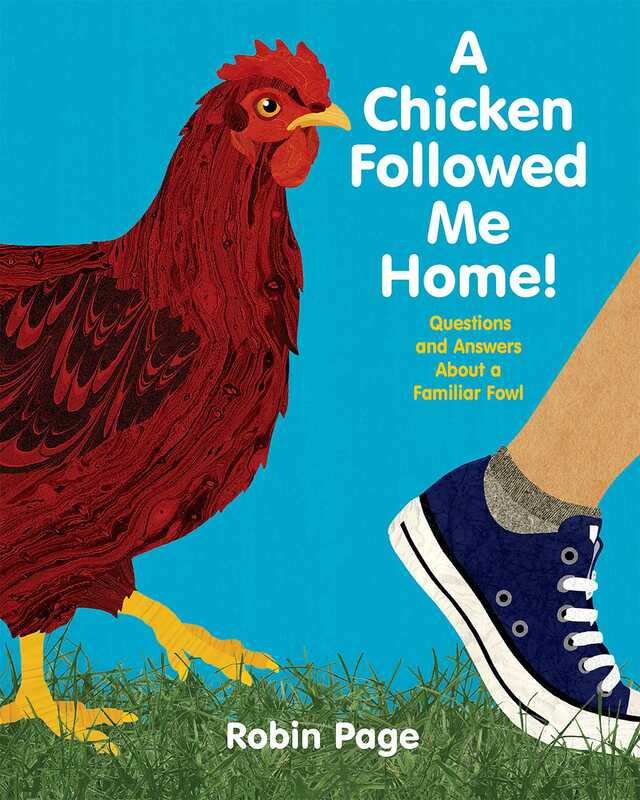 Book Cover Image (jpg): A Chicken Followed Me Home!